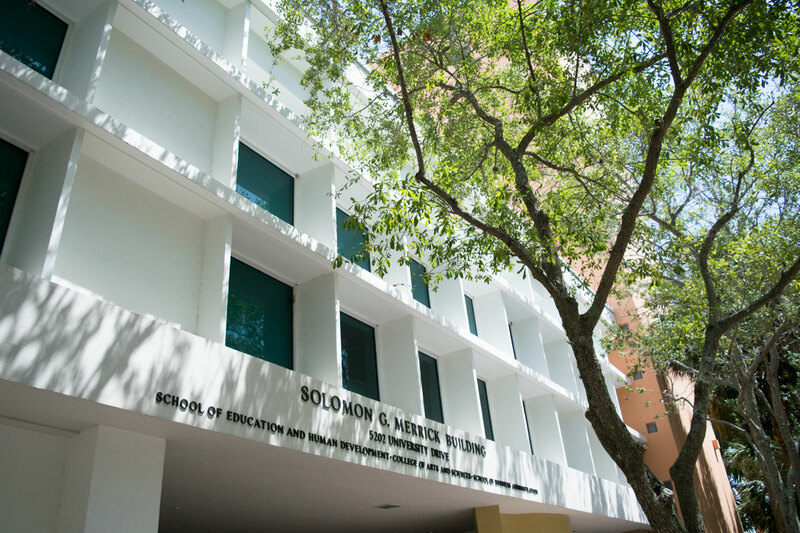 The School of Education & Human Development consists of three departments: Educational and Psychological Studies, Kinesiology and Sport Sciences, and Teaching and Learning. To be a center of excellence in the study, promotion, and integration of educational, psychological, and physical well-being in multicultural communities. To produce knowledge and prepare the next generation of leaders, researchers, and agents of change and well-being in education and the community. Education courses were offered at the university from the day its doors opened. Henry Skinner West joined the University of Miami faculty. “His primary role would be in the field of teacher education, but his services to the university would be legion.” He became Dean of the School of Education (and also Dean of the College of Liberal Arts) until 1940. Graduate courses in education were first offered. Over the years the scope and mission of the school has greatly expanded. The School of Education offered a four-year undergraduate program leading to a Bachelor of Education degree and a Master of Education degree. The programs offered were in elementary, secondary, health and physical education, and industrial education. The School first offered a Doctor of Education and a Doctor of Philosophy degree. The University’s Graduate School was formed and provided oversight for all the university’s various graduate programs. The School underwent its largest expansion. It began offering programs in Education: Administration, Curriculum and Instruction; Educational Psychology; Elementary Education; Health, Physical Education and Recreation; and Industrial Education. By this time, the School offered graduate programs in Administration and Supervision; College Personnel Services, Early Childhood Education, Educational Research, Elementary Education, Guidance and Counseling, Physical Education and Recreation, Reading, School Library Services, Secondary Education, and Special Education. The School of Education became the School of Education and Allied Professions. All programs were consolidated under three departments: The Department of Teaching and Learning, Department of Physical Therapy, Exercise Science, and Sport Studies, and Department of Educational and Psychological Studies. The program in Physical Therapy moved to the School of Medicine, as a Division in the Department of Orthopaedics. The Department of Exercise and Sport Sciences remains with the School of Education today as the more appropriately named, Department of Kinesiology and Sport Sciences. By this time, the School dropped “allied professions” from its name. The School became the "School of Education & Human Development" to better capture the idea of the wide-ranging scope of the educational and developmental activities contained within the mission of the school. Undergraduate and graduate degree, certificate and minor programs offered by SEHD. Enrolled undergraduate and graduate students - Fall semester 2015. Full-time and part-time faculty teaching in the SEHD. Teacher Education Programs in the School of Education are approved by the Florida Department of Education. Kinesiology and Sport Sciences offers the Sport Administration Program which is approved by the North American Society of Sport Management. Kinesiology and Sport Sciences offers the Athletic Training Program which is accredited by the Commission on Accreditation of Athletic Training Education. The American Psychological Association accredits our Counseling Psychology Program offered by the Department of Educational and Psychological Studies.